A selection of local handmade goods and foods available. 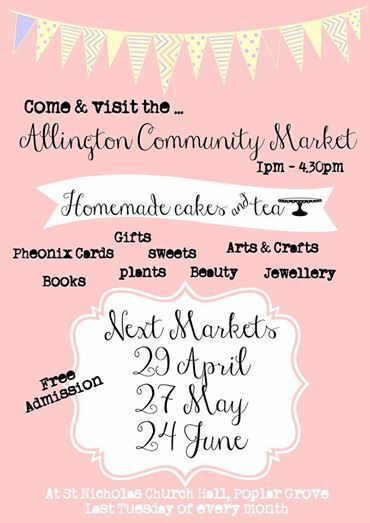 The next market is on the 29th April. Vicki Gibbons will also be at St Nicholas Church on the 29th, firstly promoting the health and beauty range so if anyone fancies a free facial please pop along and see Vicki. On the crafty side Vicki will also put out a display of wine glass charms and personalised bookmarks. Fancy a hanging basket for your garden this spring? There will be a selection for you to choose at great prices.